Mancinelli's Auto Repair Center offers repair services throughout the greater Denver Metro Area. Primary services include oil changes, vehicle alignment, exhaust system repairs, brake repair, cooling system repair, emission system repair, check engine light diagnosis & repair, timing belt replacement, window replacement, muffler repairs, engine repairs, clutch repair, fuel pump repair and more! This is the only place that I will bring my car for repairs in Denver. They are very transparent with any and everything that needs to be worked on. Mancinelli's is trustworthy and a small business that I will always recommend and support! Mancinelli’s educates me about my car. They let me know what repairs I should anticipate in the near future, so I can space out some repairs and plan financially. Rides are always offered. The staff makes me feel like family, looked after attentively. Just the best! Wonderful service! Professional, polite, and quick. Would definitely recommend. Mancinelli’s Auto Repair Center is relied upon by drivers throughout Downtown Denver. Our ASE-Certified auto mechanics provide exceptional auto repair for European, Domestic, and Asian makes and models of vehicles, including hybrid and electric vehicles. 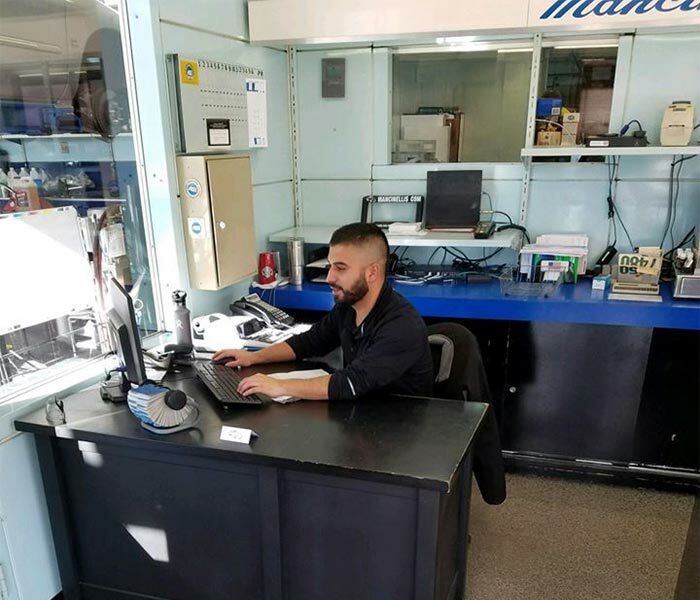 As a third-generation auto repair shop dating back to 1950, we take bestowing kind and personalized care to each and every one of our customers very seriously. Our technicians are ASE-Certified Masters, which means they are trained and tested to service your vehicle properly. In fact, they attend a minimum of 60 hours of training each year to stay on the cutting-edge of the automotive industry. We perform thorough, digital inspections on your car. These inspections are methodological, similar to a physical you would receive at a doctor’s office. We don’t cut any corners, and if there is an issue with your car, we, most likely, will uncover it. Our auto mechanics utilize tools and technology that ensures proper and accurate service of your vehicle. We aren’t using equipment that is outdated or worn, and parts are of the highest-quality. For your convenience, we offer a shuttle service for Downtown Denver drivers. If need be, we can arrange a rental car for you. Just let us know, and we will try our best to ensure your experience with us is stress-free. 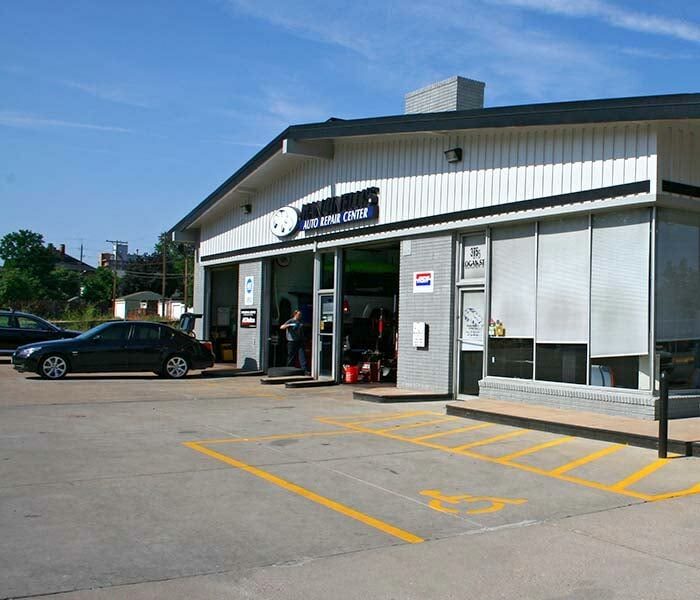 A nationwide 5-year/50,000-mile warranty backs all service and repair performed at Mancinelli’s Auto Repair Center. Above all, our genuine care and concern is what separates us from other auto repair shops in Downtown Denver and beyond. Steve Mancinelli, the owner of Mancinelli’s Auto Repair, was at medical school, training to be a doctor, when he realized he couldn’t separate the emotion from the task at hand with his patients. Now, he can put his entire heart and soul into his work, resulting in a team and facility that is known for honest and fair service. When you arrive at our auto repair shop in Downtown Denver, our auto mechanics will perform a digital inspection, searching for any sign, big or small, of trouble. And when you leave, we will send you off with a safe and reliable vehicle, popcorn, emery boards, post-it notes, and chapstick. With Mancinelli’s Auto Repair Center, it is all about the little things. Please call us, schedule an appointment, or visit us. We’re located at 375 Logan Street, Denver, CO 80203, and are open Monday through Friday, from 7:00 a.m. - 5:00 p.m.
"Mancinelli's Auto Repair Center is committed to achieving total customer satisfaction by delivering error-free service on time with service second to none." Offering service on all makes and models of HEV (hybrid electric vehicle), PHEV (plug-in hybrid electric vehicle), EREV (extended range electric vehicle), and BEV (battery electric vehicle) cars, sport utility vehicles (suv) and light duty trucks. We are maintaining a Nissan Leaf for one of our regular customers here at Mancinelli's Auto Repair Center in Denver. Not only do we service and maintain hybrid and electric vehicles, we offer complimentary charging for our regulars!